When I was young, I played basketball. Our team was not that good, and being only five-foot, seven inches tall, I did not play that much. However, if we were winning by about 20 points or more and there were two minutes left, the coach would call, “Cordeiro,” and I would go in to play. You know what? Every single one of us should be extremely excited because God is calling our name. In these last days, God is clearing the benches. He is clearing the benches and getting us all in the game. “You did not choose Me but I chose you, and appointed you that you would go and bear fruit, and that your fruit would remain, so that whatever you ask of the Father in My name He may give to you” (John 15:16). Our Heavenly Father, the coach, is saying, “I am calling your name.” God is calling our name because in these last days He is clearing the benches. God knows man needs new beginnings. He could easily have given us eternity with an unending day, but He knows we need many new beginnings. That is how He created us. Every 24 hours, everything starts all over again. Why? God knows we need new beginnings. “The Lord’s lovingkindnesses indeed never cease, for His compassions never fail. They are new every morning; great is Your faithfulness” (Lam. 3:22-23). God is faithful to give us new beginnings — even new mercy. Why did God do that? He did it because He knows that we need His mercy every morning. God is faithful to promise us His mercy in the morning because we need a new beginning. Some people say, “I need a new beginning, a new season, but I do not know if I want to make this a season of ministry because ministry is tough.” That may be true, but it is time to get on the playing field. 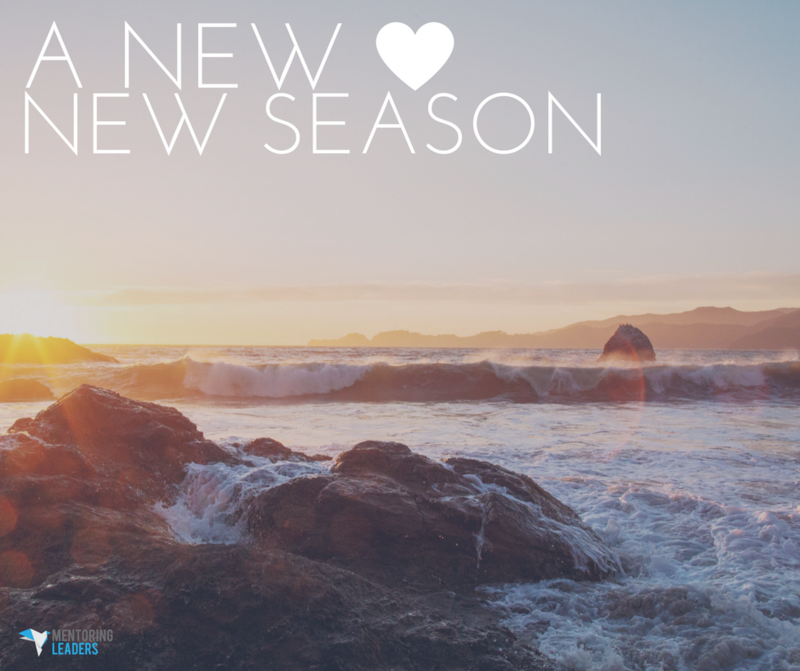 How do we build a new heart for a new season that God has for us? Here are three things that really helped me see things—even suffering—in a way that is good. These will help us build new hearts and we will be prepared for a new season. Honestly assess where you are. “For through the grace given to me I say to everyone among you not to think more highly of himself than he ought to think; but to think so as to have sound judgment, as God has allotted to each a measure of faith” (Rom. 12:3). We need to brutally and honestly assess who we are. Realize we have so much to learn; we need time to improve. We will need to go through seasons of suffering, but if we treat them correctly, we will be able to make our way into the next transition and not miss what God has for us. “Lord, make me to know my end and what is the extent of my days; let me know how transient I am” (Ps. 39:4). We are not here on earth for that long. We do not have that much time so while we are here we have to make sure that we are going to serve the purposes of God. Figure out ways to inspire yourself. Every single one of us is responsible to keep ourselves inspired because the world is going to be a current against us and it will be easy to be uninspired. We have such great potential inside of us. Are we going to take the potential that lies inside of us to the graveyard? Do not do it! Everything this generation needs lies within us right now. Do not take it to the grave; it is rich enough. Let us begin to let God take our potential, materialize it and watch what we can do. Miracles will start. It is a new day! Inspire your own heart. Do not stop. A lot of people do not get on the playing field because they do not want the friction, bumping or pain. But there is a victory dance coming and the people in the grandstands are not going to experience it. The people who get on the playing field will. There will be some bumps and bruises along the way, but out of those trials, we will make the transition into something far greater than we will have ever realized. It is a new season. It is a new day. Ask God for a new heart because a victory dance is on its way.